What is an MTT? - Casino Answers! Casino Answers » Poker » Online Poker Beginner Q&A » What is an MTT? So you’re starting to read about poker and you see all these initials and you’re probably baffled by them all. I mean, what could MTT possibly mean? Well, MTT stands for Multi Table Tournament. And the name basically describes it. It’s a tournament that features more than one table of players. It’s almost the opposite of an STT (Single Table Tournament). Multi Table Tournaments tend to feature big fields of players and have big prize pools comparatively low stakes. MTTs are where big money can be made both online and offline without risking too much money. They also tend to pay-out quite far down the field, unlike an STT or sit and go, which will only pay the two 3 because of the size of the field. Nearly every tournament you play at a live casino will be a Multi Table Tournament. This is because the start time is set, the fields are generally too big to fit on one table and you will get moved around the tables as the field size reduces. As mentioned above, the appeal of MTTs is the chance to win a huge amount of money for a relatively small outlay. Perhaps the most famous example of this is the Sunday Million over at Pokerstars. 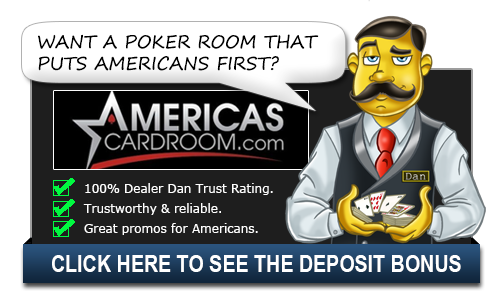 This tournament is played every Sunday and has a guaranteed prize pool of $1.5m. This guarantees a first place finish of around $240,000 and usually surpasses the guarantee, meaning an ever bigger prize for first place. So, for the chance to win anything up to a quarter of a million dollars, all you have to do is stump up $215. Now, you might think it’s a big outlay, but when you consider you have the chance to over 1,000-times that, it’s not a bad investment at all. So, if that’s for you, head on over to PokerStars and take it down! Of course, while the Sunday Million might be the best-known MTT, there is also some other cracking tournaments out there where you can win a small fortune. There is the famous $750,000 guarantee at Full Tilt Poker which has a $216 buy-in. Of course, that becomes a $1 guarantee once a month for a $530 buy-in. Both tournaments generally exceed their buy-ins due to the traffic at Full Tilt Poker being so immense. But while it might seem that the big bucks can only be won with three-figure buy-ins, that’s not the case. All poker rooms out there have tournaments for a range of bankrolls, starting from micro-stakes of around $1 all the way up to four-figure buy-ins. For example, Full Tilt do a $22 Double Deuce tournament, with a guarantee of $200,000 and a first place of roughly $30,000. So, for a small stake, you can still win enough to put down a deposit on a house! And it’s not just money you can win playing MTTs. Oh, no! You can win entry to other bigger and better tournaments in certain tournaments and other Multi Table Tournaments offer other prizes such as cars to its players. If you hunt around, there really is something for everyone. It has to be said that the home of Multi Table Tournaments on the internet is either PokerStars or Full Tilt Poker, as they both have Multi Table Tournaments starting all the time and you can keep yourself busy all day playing Multi Table Tournaments. So, if you see yourself as a top tournament player, you want to pit yourself against the other top quality tournament players and, most importantly, you want to win the most money possible, get yourself into the big MTTs. What is the definition of MTT?